From a distance it’s hard to tell all these white birds apart. There are dozens of busy Great White Egrets and Little Egrets in the lake, which I can tell apart because of their size. However, among them is an occasional Sacred Ibis and Spoonbill. 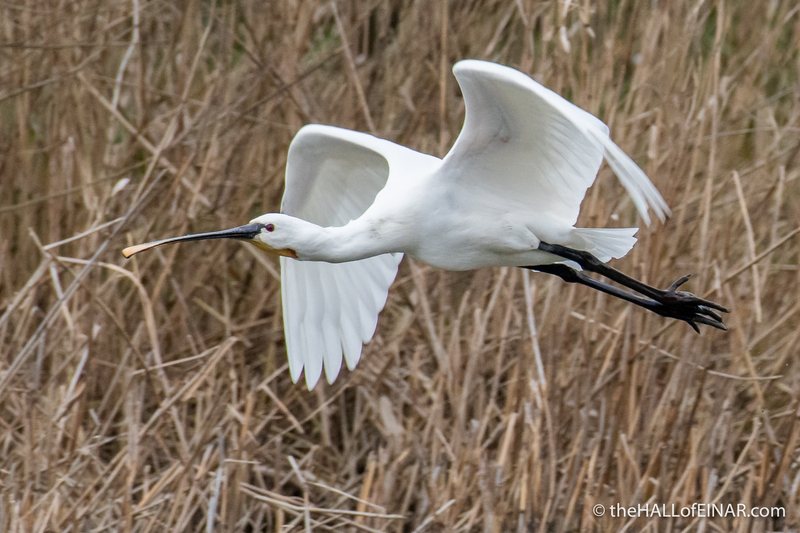 Whenever a white bird flies past I have that “Oh, it’s another Egret” feeling and it’s a pain to have to check what it is. I’ve taken lots of photographs of Egrets today. I don’t need any more, at least not in this flat light. 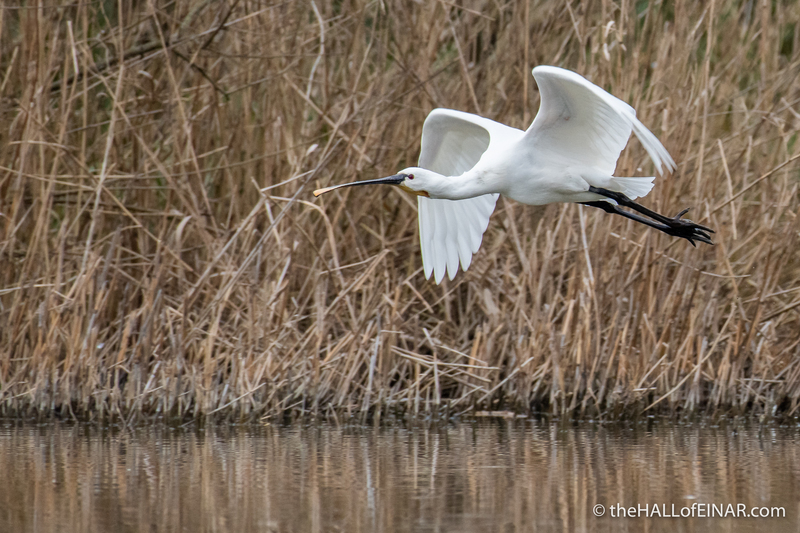 Then we see a Spoonbill fly past. It takes a split second to register. A slight clue is that a photographer in the same hide as us, who is on the best side to see it, is already firing off six shots per second at it. I manage to get a couple of shots. What an extraordinary bird. 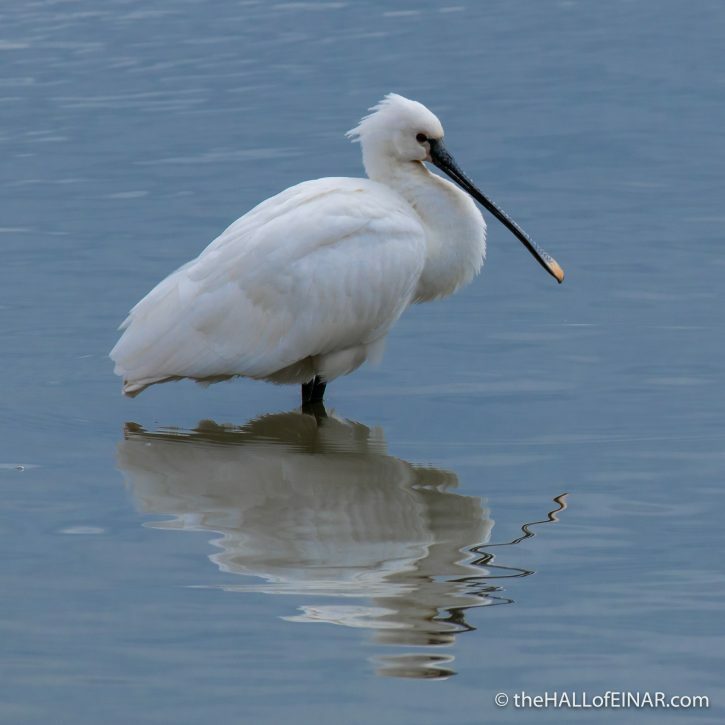 It’s a Eurasian spoonbill, Platalea leucorodia. It looks like a painting.